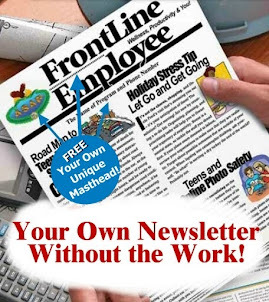 Do you issue an EAP newsletter to the workforce that addresses productivity, work-life, and a variety of personal problems that employees and their family members face? If so, you have an excellent forum for answering common questions about the EAP that can increase your utilization and program security. Here are a few questions I bet you have not been asked by employees, but many employees have them. It is not the common questions--it's the unusual questions--employees want to hear answers to. And your newsletter should be answering them. Not only are they more intriguing, they also inspire employees to use your program because they are memorable. Employees will read the answers to the following questions with earnest. How many could you answer right now without thinking about it? 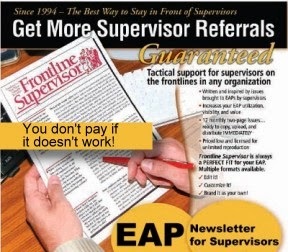 "Can my supervisor tell other supervisors, and can they in-turn tell other employees that I went to the EAP? How is that confidential? What penalties do they face for disclosing my participation? Can I choose my own counselor? One of the EA counselors is best friends with my mother. Do you see how these questions both help employees feel better about the EAP and increase the likelihood of the program being used? If you have your own newsletter, you can answer questions like these and many more. They are not the kind of questions that you are likely to put in a general information brochure. But inquiring employee minds want to know. And there are many more. 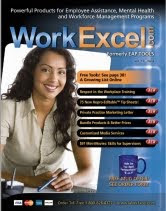 Consider calling such a column in your newsletter, “Employees Ask About the EAP” This type of employee education is essential. Many employees in the company or companies you serve have not had a presentation from the EAP to orient them to the program in years. Many may have been absent the day they were supposed to attend their first such presentation. Most companies will never give you a second opportunity to have an EAP orientation program for employees to answer questions about the EAP. The questions above are just a few of the types of questions you may want to consider. You can create many more qusetions yourself based upon the experiences you have had as an EA professional with the companies you serve. Answering common employee questions will stimulate referrals and improve management’s satisfaction with your program. Guaranteed.